Who better to help you decide on a new neighborhood in Tampa than movers in Tampa? With so much experience moving families from one neighborhood to another, moving companies don’t only know the most popular neighborhoods to move to, but they also know the safest and most convenient locations too! With a population of 2,890, Spanishtown in Tampa, Florida is a very low crime neighborhood with better than average schools, a great nightlife scene, plenty of outdoor activity, convenient transportation options, and a great housing market. The cost of living in Spanishtown is a little higher than some other Tampa neighborhoods, but as one of the best Tampa areas to live, the added cost of living is certainly worth it. The median home value in this area is $428,621 and the average rent runs at $1,543. This area has an urban feel to it and has a rather diverse population, however, only 10% of homes have children so this isn’t the ideal neighborhood for families with children. With a population of 4,012, Harbour Island in Tampa, Florida is another very low crime neighborhood with schools equal in quality to Spanishtown, a great nightlife scene, a good range of outdoor activity, plenty of public transportation options, and a great housing market. 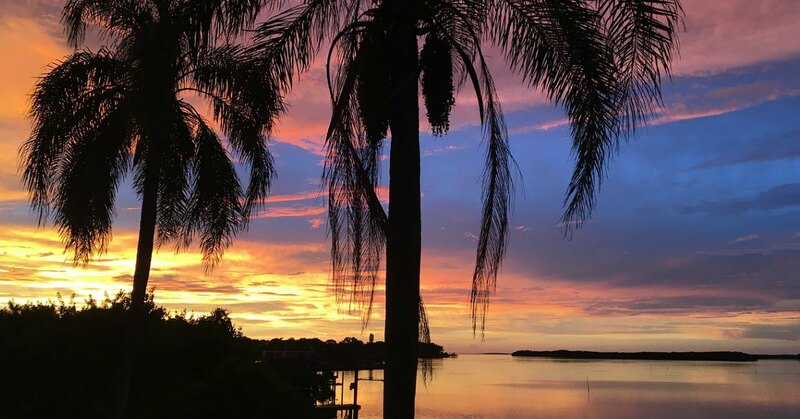 The cost of living in Harbour Island is similar to that of Spanish town and a little higher than some other Tampa neighborhoods, but again, the amenities available in this area make it worth it. The median home value in this area is $325,643 making it more affordable than Spanishtown, but the average rent runs at $1,904 making it more expensive to rent here than in Spanishtown. This area has an urban feel to it and has a rather diverse population and while a higher percentage of 14% of homes have children, this still isn’t an ideal location for families with children. With a population of 2,849, Courier City/Oscawana in Tampa, Florida is another low crime neighborhood with schools comparable to the previous two locations, an excellent nightlife scene, good outdoor activity options (although less than the previous two neighborhoods), excellent public transportation options, and a good housing market. The cost of living in Courier City/Oscawana is similar to that of the previous two neighborhoods and higher than average. The median home value in this area is $280,258 and much more affordable than the previous neighborhoods and the average rent runs at $1,432. This area has an urban feel to it and has a slightly less diverse population as well as the lowest percentage of homes with children at 6% making it a poor choice for families with children but ideal for professionals and retirees. With a population of 1,605, Hyde Park in Tampa, Florida is a very low crime neighborhood with better than average schools, an incredible nightlife scene, a good range of outdoor activity options, fairly convenient public transportation access, and a great housing market. The cost of living in Hyde Park is lower than the previous Tampa neighborhoods mentioned, but still a little higher than average. The median home value in this area is $684,544 though, which makes buying a home in this neighborhood challenging for some families but the average rent runs at $1,284 making it one of the more affordable better areas to rent. This area has an urban feel to it and has a somewhat diverse population and with 21% of homes having children this is a good option for families with younger children too. With a population of 5,179, Davis Islands in Tampa, Florida is a larger neighborhood with an exceptionally low crime neighborhood with better than average schools, an amazing nightlife scene, a good deal of outdoor activity, better than average public transportation options (although less convenient than the previous neighborhoods), and a good housing market that falls below the previous neighborhoods but still beats the national average. The cost of living in Davis Islands is much higher than other Tampa neighborhoods on the list so far, but this is an ideal location for families. The median home value in this area is $499,147 making buying a home costly and the average rent runs at $1,423. This area has a suburban feel to it and has a somewhat diverse population, and 17% of homes have children so this is a good neighborhood choice for families with children. With a population of 3,992, Palma Ceia Pines in Tampa, Florida is a larger community with exceptionally low crime rates and better than average schools, a great nightlife scene, many options for outdoor activity, convenient public transportation options, and a great housing market. The cost of living in Palma Ceia Pines is a little higher than some other Tampa neighborhoods but better than the previous two. The median home value in this area is $264,287 making it much more affordable to live here and the average rent also runs low at $1,047. This area has an urban feel to it and particularly diverse population, however, only 8% of homes have children so this isn’t the best neighborhood choice for families with children. With a population of 5,289, Arbor Greene in Tampa, Florida is the largest neighborhood on the list but it still has a very low crime rate with better than average schools but schools that don’t quite measure up to the other neighborhoods on the list. Arvor Greene has a good nightlife scene although less ideal than the previous neighborhoods, good options for outdoor activity, and convenient (but not ideal) public transportation options, and a good housing market. The cost of living in Arbor Greene is a slightly higher than some other Tampa neighborhoods but one of the more affordable on the list. The median home value in this area is $310,305 and the average rent runs at $1,791. This area has an urban feel to it and has one of the most diverse populations on the list and 22% of homes have children so this is a good option for families with children. Need Movers in Tampa to Get Your Move Started? 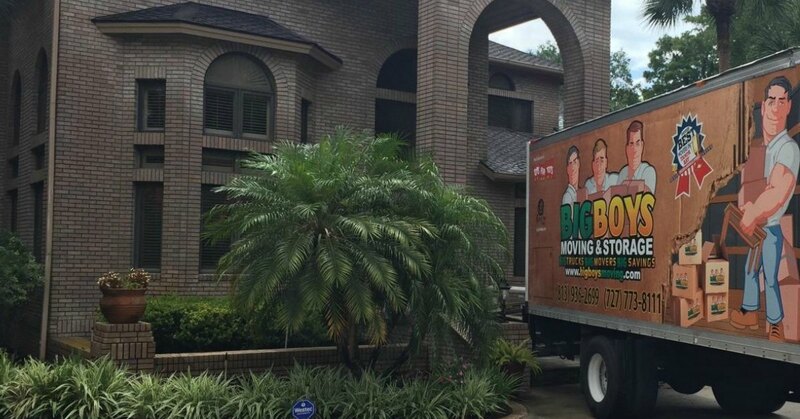 If you need movers in Tampa to get your move started, pick up the phone and call Big Boys Moving and Storage at 813-936-2699! As the top moving company in Tampa, you won’t find better service at a better price anywhere!